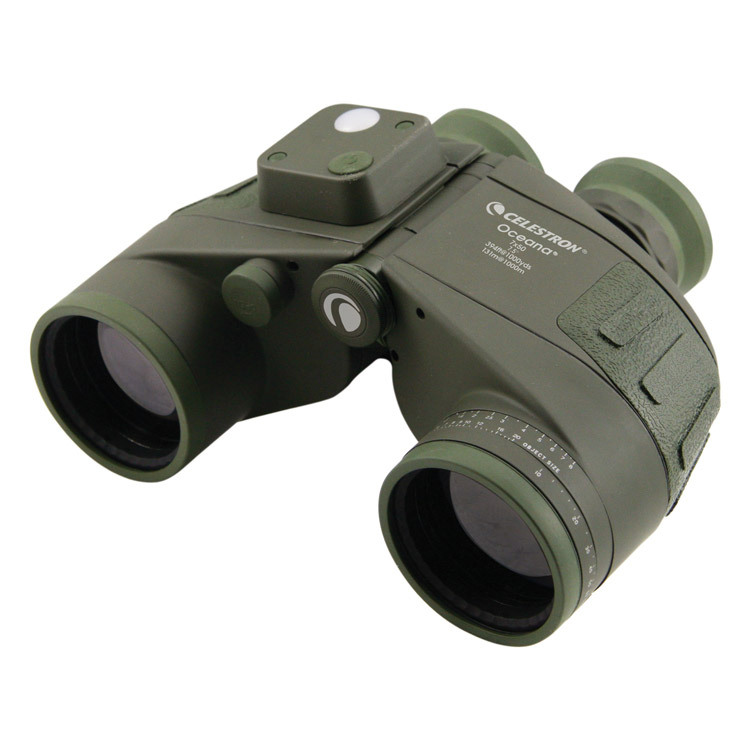 The Oceana 7x50 binocular from Celestron is a waterproof binocular designed for marine and land based observations. This feature-packed model includes an illuminated compass for direction finding, reticle for distance measurement. Maximum optical performance is appreciated with the BaK-4 prisms and fully multi-coated optics for ultra sharp images with high contrast and resolution. It has a large 50mm objective lens to offer maximum image brightness even in low light conditions, like dusk and dawn.